Discussions Magazine Music Blog: LIKE TORCHES/Keep Your Head High: Available NOW! LIKE TORCHES/Keep Your Head High: Available NOW! LIKE TORCHES is a young band ready to carry on the legacy of legendary fellow Swedish groups like Refused and Millencolin. Having already built a reputation as one of the most promising Scandinavian bands they have shared stages with the likes of Four Year Strong, Paramore, 30 Seconds To Mars, Millencolin and Anti-Flag and played major festivals like Groezrock in Belgium. 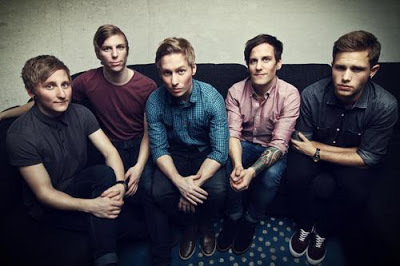 IN MAY 2012 the band spent a month in Hollywood, California where they recorded their album Keep Your Head High with Ryan Key and Ryan Mendez from Yellowcard producing.